Amazon is flushing out heavy funding to back its Indian unit to take on Flipkart and its online fashion sister concerns Jabong and Myntra. The move came just ahead of big Diwali festival when there is a big surge in the sales, especially in online fashion category. Flipkart recently acquired India's top online fashion brass Jabong and Myntra to further furnish its fashion retail segment. 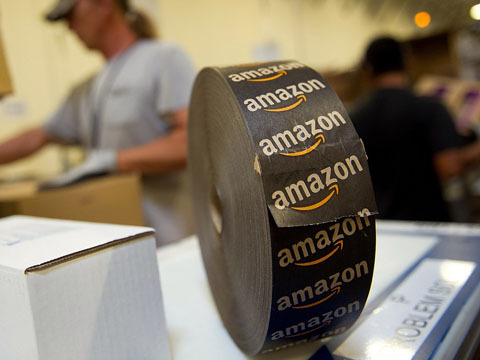 After witnessing the great boom in the sector, Amazon has decided to put its foot on the accelerator and infuse investments to enhance its technology and to stock up the large variety of products before the festive season. Company said in its official statement that close to 30 per cent of its total transacting customers shop in fashion. The category grew 150 per cent year-on-year in the first half of 2016, and is now the third biggest store on Amazon, after electronics and consumables. Further commenting on the move, Mayank Shivam, Category Leader, Amazon Fashion said that the company is investing a lot on the technology for its fashion segment.It is increasing the quality of the search results, with a significant improvement in size discovery . Amazon wants to make fashion easy to discover, so as to initiate people into buying fashion online. It also has a dedicated team for fashion, complete with fashion editors and engineering team, which works to bring out newer features. Apparel is the second highest sold category on the app, after electronics. Amazon Fashion contributes close to 40 per cent of the total mobile app sessions of Amazon. Almost 55 per cent of the fashion orders come from tier-2 cities and this is because brands only have few stores in the smaller cities, added Shivam.